At Artic Truck, we have the quality parts and service expertise so you can keep on trucking. Artic Truck Parts & Service owns and operates four flagship stores across Alberta. These stores are conveniently located in Edmonton (Sherwood Park), Calgary, Red Deer and Edson. At Artic, we pride ourselves on two key factors: expert knowledge and outstanding service. Derived from the Latin word articulus meaning small joint, the term “articulated lorry” has been used to describe a combination of a tractor and a trailer since 1898. This is how our name, Artic, truly conveys our high level of expertise in heavy duty truck parts and service repairs. 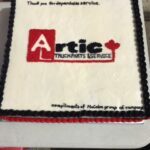 Artic Truck Parts & Service has provided heavy-duty truck parts and expert mechanical service to Albertans for over 30 years. Artic is the destination for all your retail needs. Whether you are an owner/operator of a single truck, or are part of a major fleet, Artic has four fully-stocked stores in Edmonton, Calgary, Red Deer, and Edson ready to serve you. Artic Truck boasts the ability to supply parts quickly, from the most complete warehouse inventory of truck parts in Western Canada. 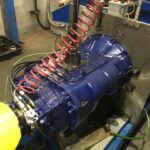 Service facilities feature driveline repair, rebuilding and machine shops. Artic mechanics specialize in drivetrain components, drivelines, clutches, brakes, suspensions, power steering, axles, and PTOs. When drive train components for your truck are installed or remanufactured, you can have the confidence that comes from knowing Artic uses 100% genuine OEM parts – by well-known manufacturers such as Eaton, Fuller, Rockwell, Spicer and many more. At Artic, we understand our customers are family and just like you wouldn’t stop caring for a family member after 6 months, we won’t stop caring about you either. We offer and service both manufacturer warranty as well as our own on just about everything so you can rest assured that you’re covered with Artic Truck Parts & Service. Artic is committed to the needs of our customers and the ever-changing industry demands. We conduct our business ethically where employees, customers and suppliers are all treated with dignity and respect. We hope and believe that our commitment to quality will result in meeting and exceeding the expectations of our most valued partners. For full details on warranties and customer care, visit your Artic store. Our current Artic network spans Alberta and boasts a staff of 40 industry experts and service technicians to answer any question and fix any problem you may have. Our store network’s mission is to support our Corporate Mission by improving operational results on an ongoing basis.